As tools for food preparation, knives sit at the top of the hierarchy in terms of utility and necessity. Professional chefs often find that their first restaurant job involves nothing but knife work and it is during this trial by fire that they come to identify what they love and hate about different knife designs. The truth is that good knife work makes the rest of a chef's job easier. Consistently sliced vegetables cook more evenly, properly cut meat will be more tender, and carefully diced herbs provide more robust flavor. It is for these reasons, and many more, that most chefs have both a favorite brand of knife and a favorite model as well. Here is a look at some world class chefs and the knives they swear by to help you decide which knife is right for you. The Misono 440 has a strong, thin blade. This Western-style Japanese knife is lighter than many others, which reduces fatigue and tends to lend more heft to the handle than the blade. This particular knife can be purchased for use by right- or left-handed chefs, so it isn't reversible. It has a high profile blade to keep knuckles well above the cutting board. Similar Santoku designs, like the Calphalon 5-Inch Santoku Knife, are more affordable than the Misono brand. The deba is primarily a fish knife, designed to prevent damage to flesh while filleting. The deba is not designed for chopping through bone or for cutting on a board. Most chefs will use this knife strictly for slicing meat and never for cleaving. It has no use in chopping vegetables or herbs. You can purchase a deba for between $150 and $800. The Misono Slicer comes in several different sizes. The UX-10 is ten inches long and made of Swedish stainless steel. It is known for its excellent edge retention and resistance to rust. The Western-style knife is sharpened on both sides and can be used in either hand. 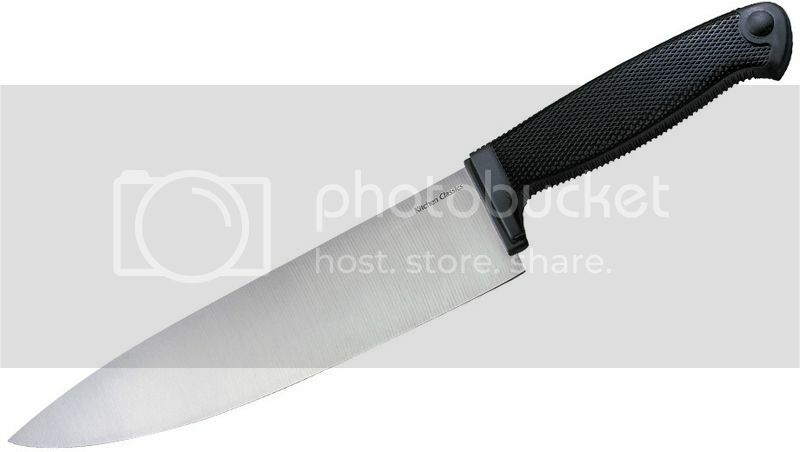 The knife is nearly perfectly balanced and, unlike most knives on this list, is very affordable. Asai is a Japanese brand of handmade knives. The Aogami Super is a particular grade of steel and the highest quality in Japan. It is renowned for its durability and edge retention. Tsuchime refers to the pattern on the surface of the blade, a kind of dimpling that prevents food from sticking. Asai knives start at around $200. The Gyuto (Japanese for "chef's knife") is a thin, multipurpose knife made of high speed powdered steel. High speed steel is also used in saw blades and drills and is often used in industrial settings to cut through other types of steel. These knives are known for their thick spines and razor-like edges. The Western-style Kikuichi slicing knife has a Damascus-style blade forged from VG-10 steel. The knife is handmade, with the Tsuchime pattern being hand-hammered before the blade is heat-tempered. Kikuichi knives are known for their precision and light weight. Lisa Carnes knows that the best chefs have the best knives. An avid blogger and cook, she enjoys writing about better ways to create culinary perfection. You can enjoy her enlightening posts on various websites and blog sites today. I so agree. A knife can make or break a Chef or a wanna-be-chef like me. That's why I've invested in a good set of quality knives that help my life in the kitchen a lot easier. The only thing missing is that so called knife-skill. How I envy the Chefs when I see them breeze through their slicing and dicing on TV. And those can go as much as hundreds of dollars! I'd like to have a good knife, too. Sharp knife is a must when we are cooking. It makes easy and fast to prepare for meat or veggies to slice. Even us ordinary choos/chefs at home need a great knife to do our job! Oh, yes, I agree, moms who cook can't live without knives in their kitchen! I will go crazy without these very helpful kitchen tools. I agree with Jess...knives really play an important role in the preparation of food. Great post!